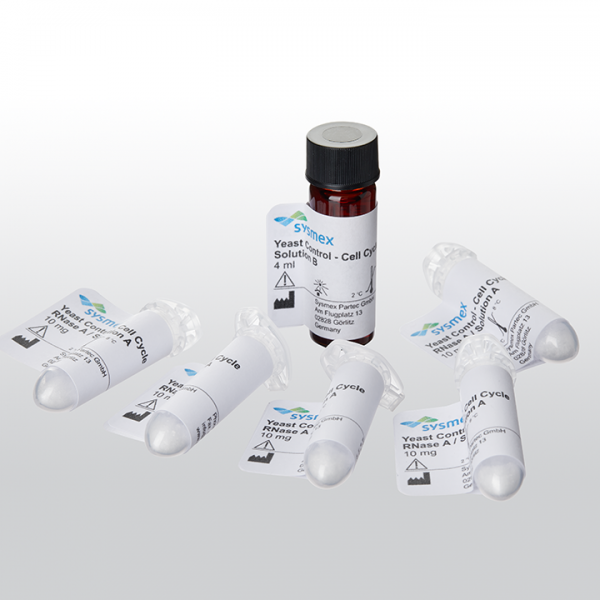 Reagent kit for staining of yeast nuclear DNA after cell fixation by ethanol. This allows determination of total DNA and cell cycle analysis, which varies during the fermentation process. The reagent has been created specifically for selected configurations of the Sysmex CyFlow Cube and CyFlow Space flow cytometers.